Castell Henllys is the only Iron Age village in Britain reconstructed on the exact site where the Celts lived over 2000 years ago. 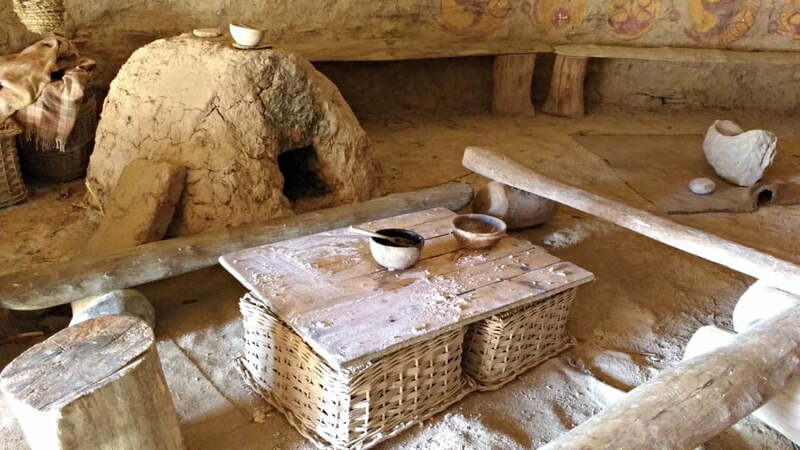 You can travel back in time 2000 years and experience life in the Iron Age on a day out at Castell Henllys in the Pembrokeshire National Park. The Iron Age Village is located in beautiful woodland and meadows between Newport and Cardigan in West Wales. The walk up to the village from the visitor centre takes about 5 minutes along a path which is suitable for buggies. 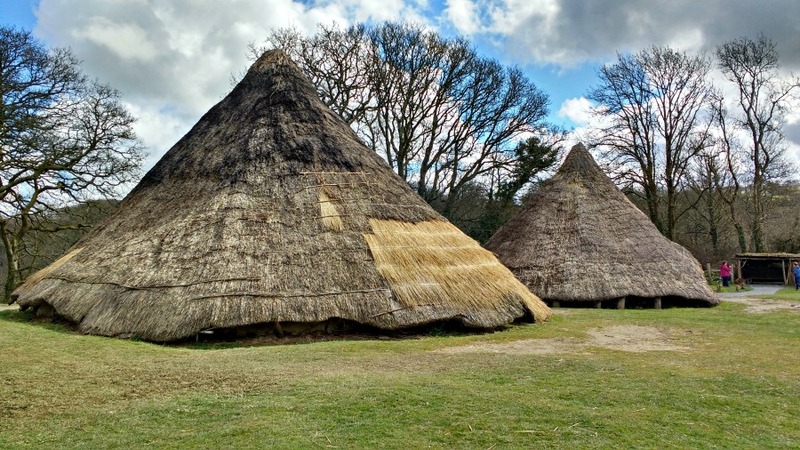 Once you enter the Iron Age Village you will see 4 roundhouses and a granary which have been reconstructed on original Iron Age foundations. The first roundhouse is the largest and was the home of the Chief. Inside this impressive roundhouse, you can see where the Celts slept and lived as well as how the roundhouse itself was built. 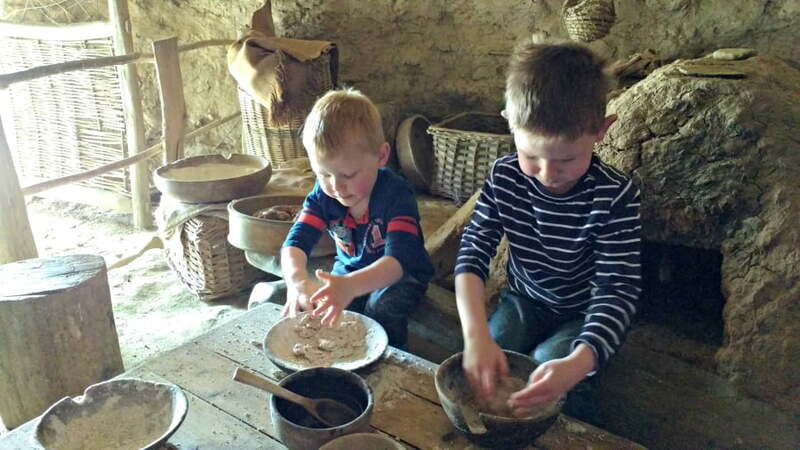 We were lucky enough to be able to take part in a special activity (£1 payable extra) making bread. The boys were shown how to knead the bread and then put it on the campfire to bake whilst we explored the rest of the village. The demonstrator tried her best to knead my toddler’s bread into a shape like Gordon from Thomas the Tank Engine at his request! 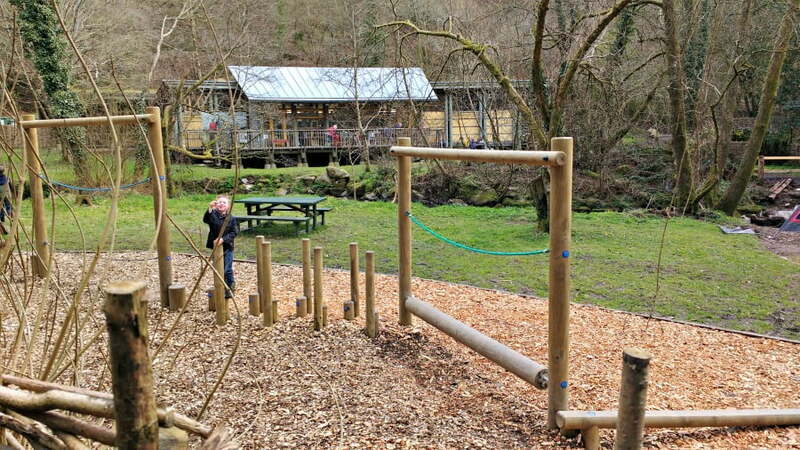 There is a little play area surrounded by picnic tables in a riverside setting near the Visitors Centre. There is also an onsite Café serving fresh food and cakes. There is a little table with colouring crayons and colouring in sheets in the café. 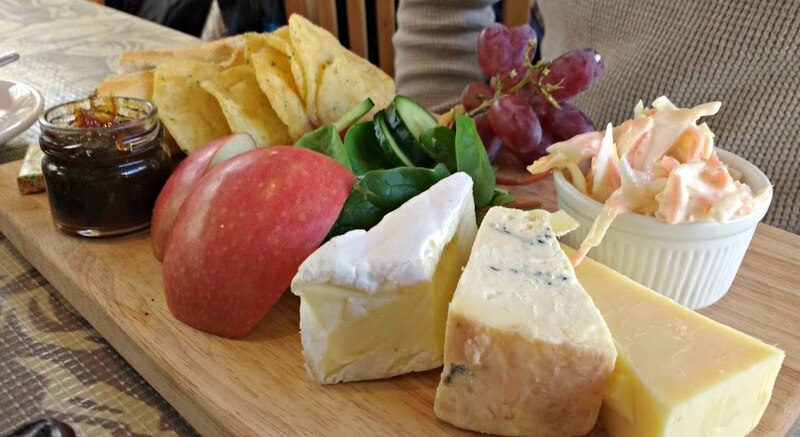 Is A Day Out At Castell Henllys Baby and Toddler Friendly? There is an interactive display in the Visitor Centre, which my toddler wasn’t obviously able to read, but we explained a little bit about the people who lived in the ‘houses’ on the way to the Village. He loved running around in the village, going in the roundhouses, and particularly enjoyed taking part in the bread making activity. The Granary Roundhouse is raised off the ground so he liked being able to climb inside this and shut the door on us. Of course the door was opened and shut numerous times before he moved onto the next Roundhouse. The playground is great for little ones, and there are picnic tables around it so you can sit down whilst supervising them. The café is very toddler friendly with a separate children’s menu (about £4 a meal) with a little table with crayons and colouring in sheets. The walk up to the Village is buggy friendly. There are baby change facilities in the Visitor Centre, and high chairs in the café. Cost – Adults are £5 and children are £3.50. A family ticket is available for £13.50. A new barefoot trail is currently being developed. Go to the Visit Pembrokeshire website for more ideas about things to do and see in Pembrokeshire. Thanks to Castell Henllys for our tickets.